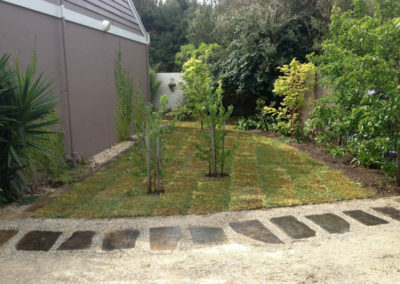 Uplift your property in Mornington Peninsula with beautiful green lawn and turf by Paul McQuillan Landscapes. 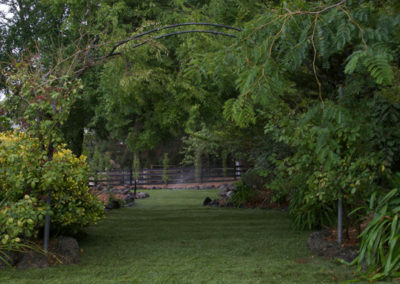 Healthy lawns benefit your entire family and home environment. 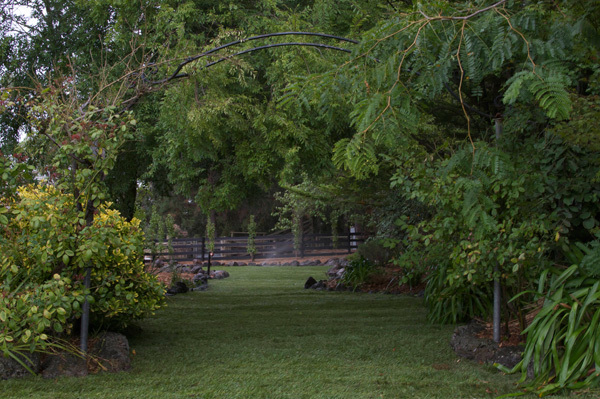 Creating valuable, open green outdoor spaces, well-laid turf highlights your home and is pivotal to your landscape design. 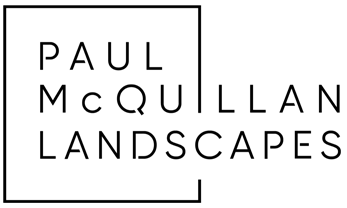 For recreational use, family gatherings, outdoor activities or just to admire! 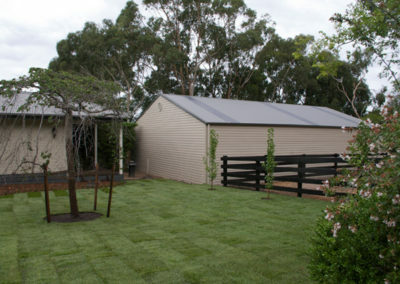 – lovely stretches of green grass have endless benefits that can get used over and over, by people, pets and plants! 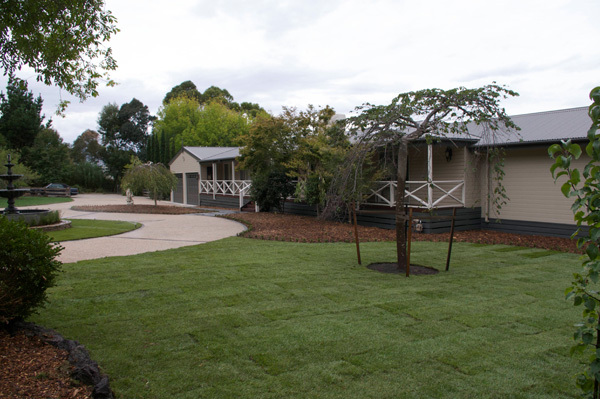 In Flinders, Red Hill and the Mornington Peninsula, the right type of lawn can bring fresh life to living and increases the value of your home. Tall Fescue’s strong deep roots naturally stamps out weeds. 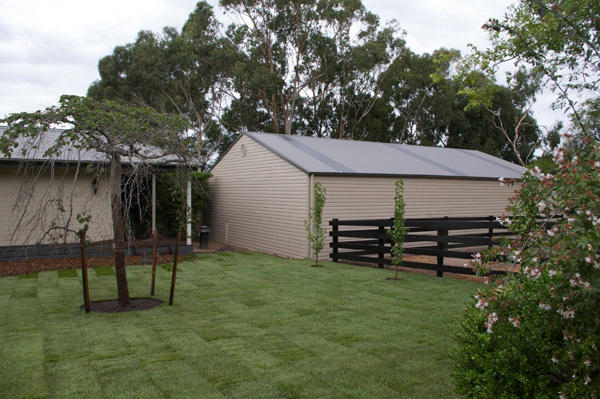 Dark green with a fine leaf and a medium to high mowing height, tall fescue has a dress-lawn appeal. 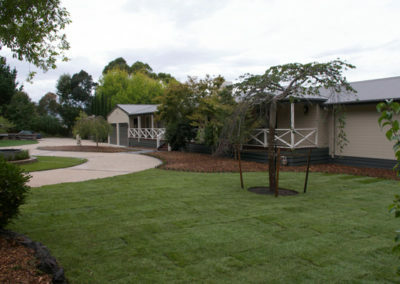 Emerald-green in colour with aboveground runners, soft buffalo is hardy and low maintenance, has great drought tolerance and responds well to many soils, thriving in full sun or partial shade. 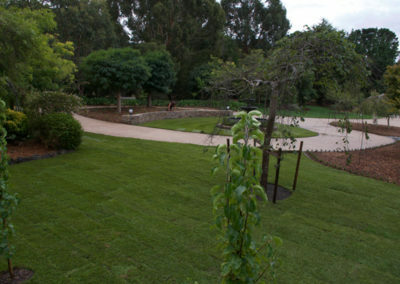 Hardy Kikuyu has a high drought tolerance and is very low-maintenance. In light-mid green colours, it has quick under and above ground runners and a rapid recovery rate if damaged. Couch is versatile, affordable, attractive and hard wearing. 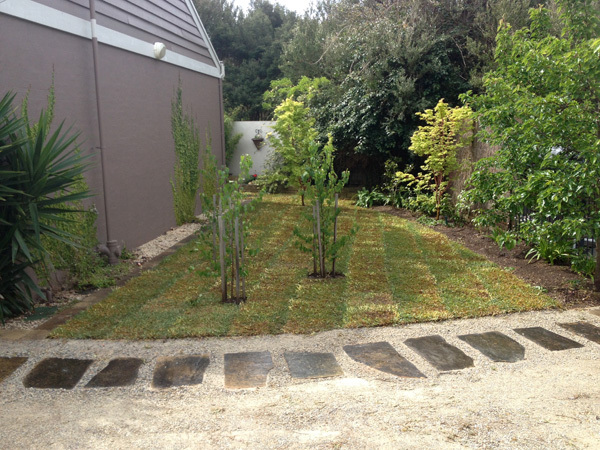 In its many varieties, couch is fast growing with a deep root system, likes the sun and is extremely water efficient. 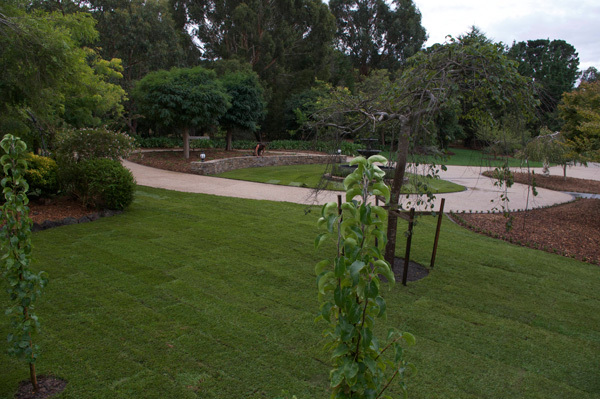 Where a maintenance-free lawn is key for your garden landscape in Mornington Peninsula, we can also supply and install synthetic turf where required.